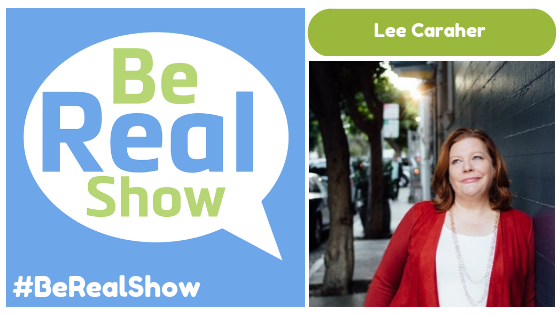 Lee is the founder and CEO of a highly sought-after communications firm known for producing great results with its innovative approach to traditional, digital and experiential programs. She has a long history of leading high-performing, multi-generational teams that enjoy working together. Lee is a champion for creating a positive workplace culture that fully supports its talent, even when they choose to move on. She takes the long view to support employees building their own personal brands that balance loyalties to themselves and their employers. Lee believes that companies able to inspire lifetime loyalty from employees — currently or formerly employed — are the companies that are best suited to thrive. She has long recognized that people will leave employers and understands the real problems this causes for companies. Learn more about Lee. In this episode of the Be Real Show, Lee and Travis open up the show discussing the inspiration behind Lee’s company, Double Forte. The two then explain how Target and Walmart are evolving and why life-long learning is a vital part of staying relevant to your clients. Also, Lee mentions how intimate audio is and why she thinks podcasting is a link builder. If a company is not considering podcasting as a viable strategy, then they are missing out. Travis reveals how he records his podcasts all in one day to keep the vibe going because that is where his sweet spot is. Lastly, Travis gives Lee some quickfire questions including where she wants to travel, how she starts her day, who she would take to lunch, and her favorite podcast. Newer Post#144 - Chris Dayley gets real about Online Conversions!